This morning we decided to keep it local so we headed back to Banglamphu armed with our glorious new stroller. 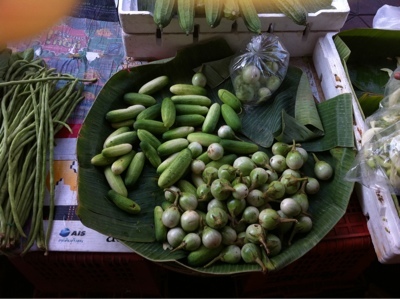 After a few laps the area and a walk down Khao San road we found a Kanom Buang vendor and had to partake. They were as delicious as I expected. I don't know all the ingredients but I did recognise the golden threads. 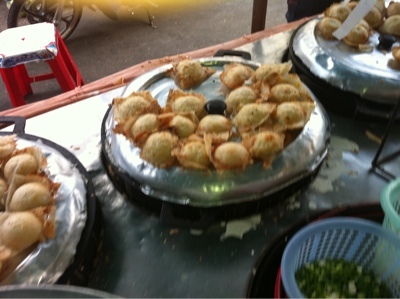 Not much further along we found a Kanom Krok seller and bought and devoured a serve of these also. 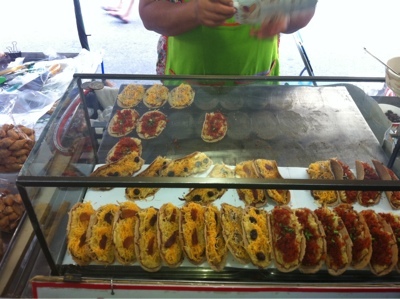 I have made these back home although needless to say mine were not as good as the ones we had today. 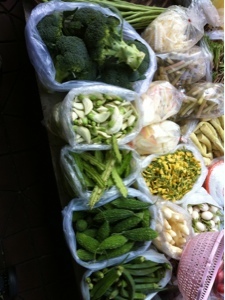 We then found what I'm pretty sure was the food market we were searching for last night! Of course only about 50 meters further past where we had stopped on our initial search. 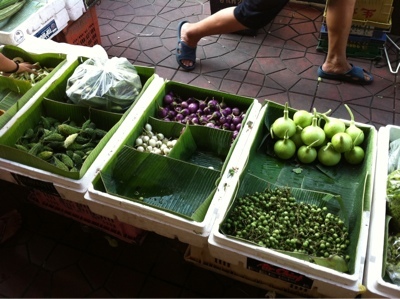 The fresh produce was very enviable with winged beans, an array of eggplants and and some beautiful Thai cucumbers to name just a few.